Tech Wash is a wash-in cleaner for waterproof clothing and equipment. It safely revitalises breathability and water-repellency. Tech Wash is a non-detergent soap which can be used regularly to clean clothing and equipment without damaging the Durable Water Repellent (DWR) coatings. Use Tech Wash instead of detergents or washing powder which leave behind water-attracting residues. 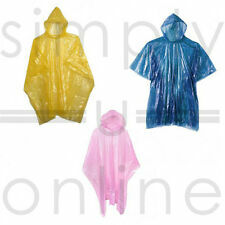 TX.Direct is a wash-in waterproofing for wet weather clothing. 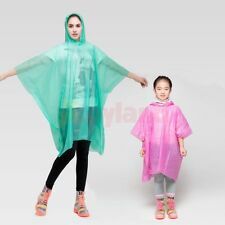 It adds water-repellency and revives breathability to fabrics without wicking liners. It doesn't require heat activation to work so saving energy. Regular cleaning and reproofing with Tech Wash and TX. Like all BUFF. Multifunctional - 10 ways to wear. Sourced from non-mulesed sheep. Lightweight construction; 125g/m2 for versatile, all-season performance. Do not iron. Yarn: 125g/m2. Weight: 1.7 ounces. The waterproof gaiters have an elastic draw string with toggle to secure to the top and a shoe lace hook at the bottom to hold securely to your boot or shoe. Reusable and folds away in to a small plastic pouch. All our t-shirts are sent 24 signed for within the UK. 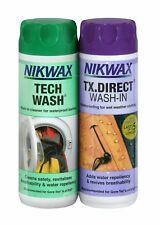 NIKWAX TX.Direct Wash-In Waterproof Clothing Re-Proofer. 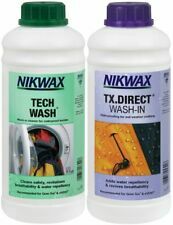 After cleaning and re-proofing clothing, maintain its waterproofing qualities by frequent cleaning with Nikwax Tech Wash. After 6 to 8 washes with Nikwax Tech Wash, re-apply Nikwax TX.Direct to re-proof. A stylish and functional US Army Issue scarf. US ISSUE WOOL SCARF. Colour - Olive Green. Genuine US Army Issue. Made From 100% Wool. Made In USA. Available in all colours & sizes from 30" to 50" waist! Arc’teryx -Gamma Rock- Pant Men’s Size Medium Anvil Grey Softshell Hiking $179!! The North Face Mens sz M -Paramount Peak II Convertible Pant Shorts, Siz M NICE!